Not since funny lady Erma Bombeck has there been a book written that so delightfully pokes gentle fun at common occurrences in everyday life — and in this case, dating. But not just any dating! Dating electronically. And specifically electronically dating when you’re closer to sixty than to sixteen. 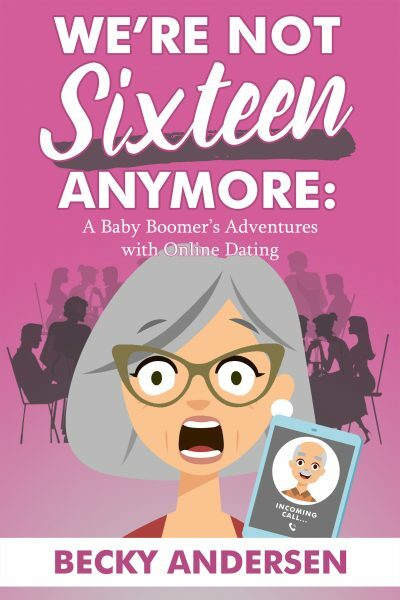 Follow the tongue-in-cheek adventures of a Baby Boomer as she discovers the pitfalls and highlights of dating in the 21st Century’s cyber-world. Feeling naive and outside her comfort zone, the author prepares to step up to the plate of dating after a relative puts her on an electronic dating site. Like many people, she discovers she’s been in a time warp, and when she approaches dating like she did when she was in her teens, she discovers it’s entirely different. What started out as entries on her Facebook page have expanded into detailed accounts of dating foibles and feats. Anyone who has embraced the concept of online dating will find this true so-called saga humorous and charming. We’re Not Sixteen Anymore is now available for order on the WriteLife Publishing website.